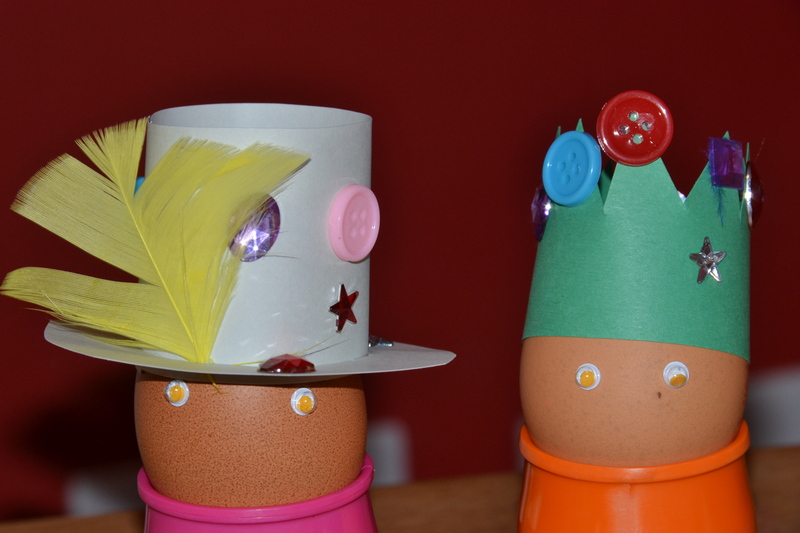 Z, S and H all love boiled eggs, so today we made the eggs some Easter hats. I cut out a basic crown shape for S and H to decorate themselves. The jewels and buttons also had adhesive on the back so this was a super simple, quick and clean craft. I also made a mini Easter Bonnet for my egg, which is a miniature version of our big bonnet from last year. They are very cool, I think the top hat is my favourite! Simple yet fun. 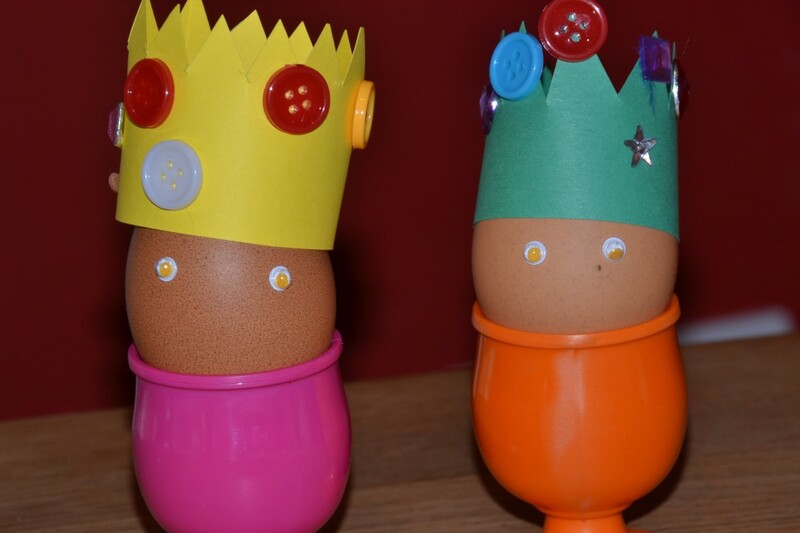 I might just borrow this idea, would be great for a Coombemill egg from the farm. Thank you! Coombemill recently posted..Spring Preparations On The Farm! Chris at Thinly Spread recently posted..Friday Finds – Spreading the Blog Love on St David’s Day! SO CUTE! Love the bonnet especially. Super fun AND you can still eat the egg..